UPDATE: The White House’s own internal assessment of TrumpCare has leaked, and it’s even worse than the CBO’s. The White House just found that TrumpCare will cost 26m people their insurance coverage. The big news today is the Congressional Budget Office (CBO) has determined that the Republican health care plan would leave 24 million people uninsured who currently have insurance. Trump’s taxes are the key to the Russia story, but Trump won’t release them. Buy a t-shirt and support our work. More from CBO. Under TrumpCare, 14 million more people would be uninsured next year, and 24 million more by 2026. Those are people who would otherwise have insurance under Obamacare. 14 million of the 24 million would come from Medicaid — meaning, 14 million poor people would lose coverage, and another 10 million not-poor people. So it hits everyone, poor and not. The CBO report also found that the bill would reduce the deficit by $337bn over the next ten years, and that premiums would increase more than Obamacare in the first four years, and less than Obamacare thereafter. The CBO’s projections come days after the Brookings Institution estimated that the the bill would increase the number of uninsured Americans by more than 15 million, and the Joint Committee on Taxation estimated it would cost the federal government an additional $600 billion over a decade. 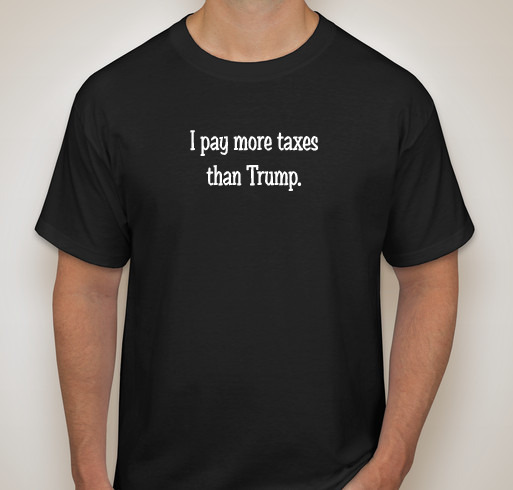 Our latest anti-Trump fundraising shirts include “nevertheless, she persisted” and “I pay more taxes than Trump.” All proceeds go to finance our work resisting the Trump agenda. These shirts will only be on sale through tomorrow, Tuesday March 14. 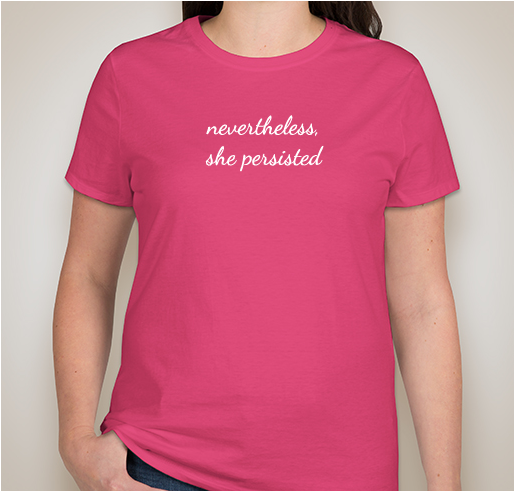 Support our resistance work with a “Nevertheless, she persisted” t-shirt. All proceeds benefit AMERICAblog. And remember, ACA-repeal was much of the impetus behind the angry townhall meetings Republicans have been facing, with growing trepidation, across the country. So Republicans were already nervous about this plan. The CBO numbers, alonside those from Brookings and the Joint Committee on Tax, are not going to put anyone’s mind at ease. – Top Trump aide Kellyanne Conway said last night that President Obama may have used microwave cameras to spy on Donald Trump during the campaign. No one has any idea what Conway is talking about, and she herself admitted that she had no evidence. In related news, Donald Trump still refuses to offer any proof of his definitive claim that President Obama “tapped his wires” during the campaign. White House spokesman Sean Spicer said today that when Trump said Obama “wire tapped” him, he put the phrase “wire tapped” in quotes, which doesn’t really mean “wire tapped,” but rather “eavesdropped.” No one has any idea what Spicer or Trump are talking about. In related news, John McCain basically told Trump to put up or shut up over his claims about Obama spying on him. – GOP House member Steve King says that it doesn’t matter if the Republican Obamacare repeal plan leaves millions uninsured. While Donald Trump promised that TrumpCare would lower costs and offer bed coverage. Trump said nothing about millions losing their insurance. – An excellent appearance on PBS’ The NewsHour by conservative Washington Post writer Michael Gerson, who was more critical of Donald Trump on Russia than most Democrats. You can watch snippets of Gerson here and here. – Donald Trump promised to donate his salary as president to charity. He hasn’t. And has refused to provide proof of any such donation. You’ll recall that not following through on promised donations has become a bit of a pattern for Trump. – Senior Trump White House staffer Boris Ephsteyn has a recent mug shot. Because, who doesn’t? – Former Trump National Security Adviser Michael Flynn was getting paid to lobby for Turkey while attending intelligence briefings for Trump. Can you believe that this is the news of just the past 3 days or so? – Scarlet Johansson did a hilarious fake commercial mocking Ivanka Trump on SNL this weekend. – And SNL’s cold-open was equally funny, with Donald Trump leading the battle against an alien invasion of the world. Watch it, you’ll laugh. – This boy worries me. – And finally, baby octopi are kinda adorable. As always, feel free to share this Trump Update with you friends. They can sign up for it here. The more subscribers, the more powerful we are. And if the spirit moves you, you can donate directly to support our independent journalism. And check out our anti-Trump swag shop, and our latest t-shirts about “she persisted” and Trump’s taxes. He is the original “Swamp Thing”. So that makes sense, really. Yes, well, it’s more like a “gene swamp” regarding these haters. I thought that The Donald said he was going to “drain the swamp.” Instead, he has expanded the swamp and imported more and more predators into that swamp. A “gene pool” that produces a hateful pack of liars is not impressive.